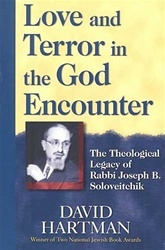 Rabbi Joseph B. Soloveitchik (1903­1993) profoundly influenced modern Orthodox Judaism in the United States--and Judaism as a whole--by opening up a discourse between the tradition of Torah study and Western philosophical thought. The future of both religious Zionism in Israel and of Orthodoxy in America hangs to a great extent on how we interpret his intellectual legacy. Dr. David Hartman's penetrating analysis of Rabbi Soloveitchik's work reveals a Judaism committed to intellectual courage, integrity, and openness. About the Author Dr. David Hartman, who studied with Rabbi Soloveitchik for a decade, is one of the most respected Jewish theologians in the world today. He is the founder and director of the Shalom Hartman Institute in Jerusalem. Named after his late father, the Institute is dedicated to developing a new understanding of classical Judaism that provides moral and spiritual direction for Judaism's confrontation with modernity. Presently Professor Emeritus at Hebrew University in Jerusalem, Hartman received his rabbinic ordination from Yeshiva University's Theological Seminary in New York. A frequent lecturer in the United States, he is the author of several widely-acclaimed books, including Israelis and the Jewish Tradition (Yale); A Heart of Many Rooms: Celebrating the Many Voices within Judaism (Jewish Lights), a finalist for the National Jewish Book Award; and two winners of the National Jewish Book Award, including A Living Covenant: The Innovative Spirit in Traditional Judaism (Jewish Lights).